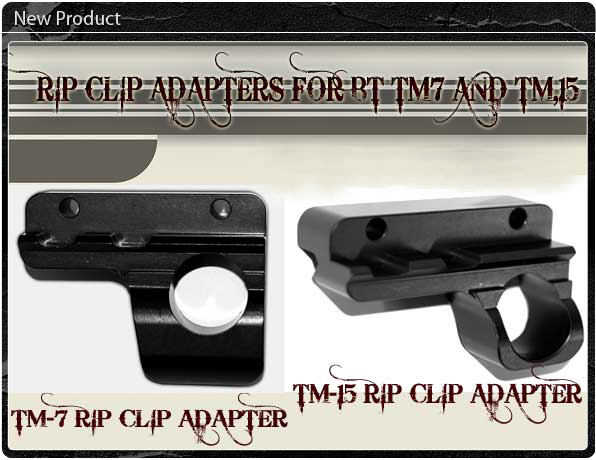 I received an email from Trinity about new products and one of them was the BT RipClip adapter for the TM-7. 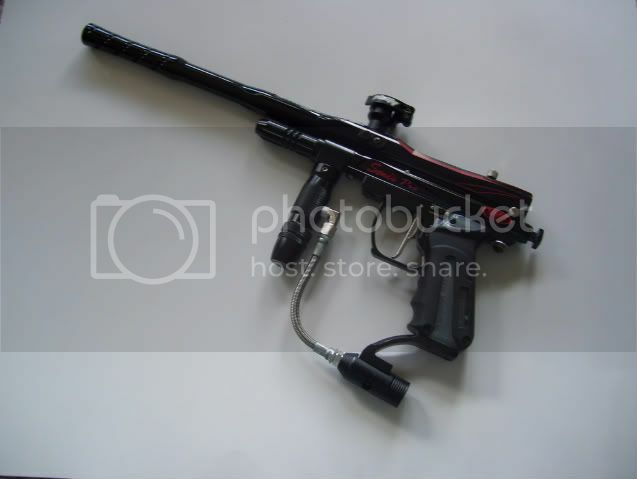 I have a BT with a RipClip as my primary marker and my backup is an MR1 and it would great if i could use the RipClip on the MR1 too especially since i recently got the barrel adapter that i now can use all my A5 threaded barrels on my MR1 too. so i replied back "how about a spyder MR1 RipClip Adapter?" "SORRY WE DONT HAVE A DEMAND FOR THAT PRODUCT YET, WE DEVELOP NEW PRODUCT BASE ON DEMANDS"
Or maybe I am alone in wanting this product. Think it would be great, thanks. Thats a great idea, i have 3 mr1 and an mr2 and i wanted to figure out how to put ripclip on my mr2 beacuse i like the look and low profile of it, your definetly not alone. they are making them or other markers...what about the MR1? what makes the rip clip so good? why not just use an electronic hopper? They make them for other markers too...Trinity and Flasc, say not enough people ask for Spyders parts to make it profitable for them to make after market parts for them.